The Genesis™ II Select dash mounted radar is one of the premier point-and-shoot radar gun products on the market today. The Genesis™ II Select comes with a compact design that is incredibly easy to use and an intuitive graphics display that is easy to read. 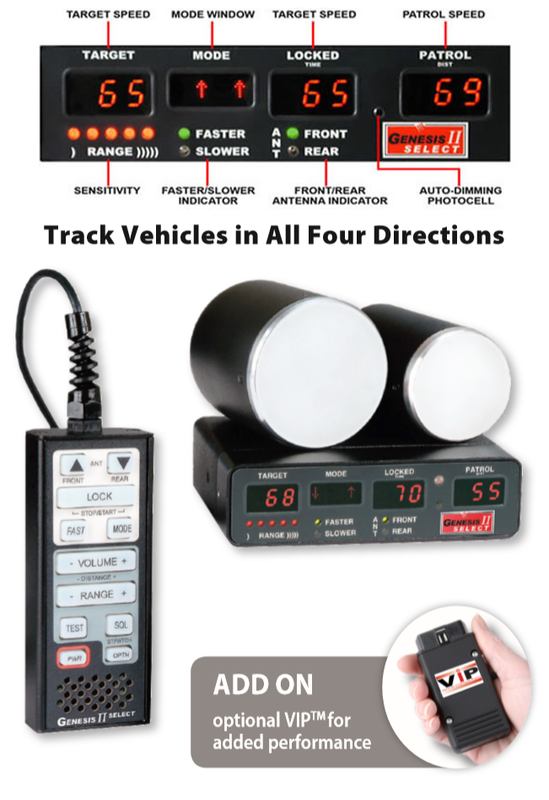 It can track vehicles moving in all four directions. When speed and precision matter most, nothing beats the Genesis II™ Select. Serial port for VIP, RS232 data export, or speed overlay onto video. To view a detailed PDF of this product, click "View PDF" to the right.